You can add manufacturer details to your store. Along with being able to browse your store by category; Manufacturer listings also give your customers the advantage of browsing items based on brand names! 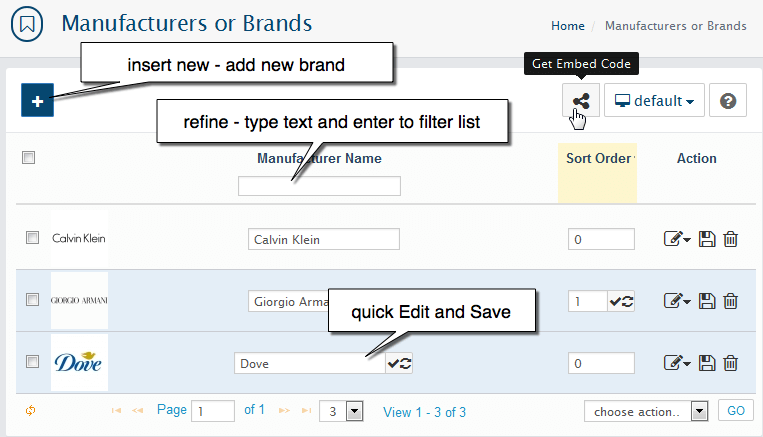 Brands are managed from Catalog > Manufacturers. To assign products to their respective Manufacturers. To do this, use the following steps.